The 1:24 scale RC tanks are low priced but still great fun with working independent tracks and BB firing gun. 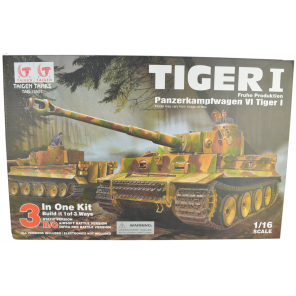 They are perfect for younger tank commanders and make great gifts that will provide hours of enjoyment. Create your own indoor or back yard obstacle track or use the BB function to battle against other commanders.